24 HOUR BAIL BONDING Of Huntsville believes that every person arrested should be afforded the right to bail, and of course their Miranda Rights. But we also know and understand that people behind bars may act or do things out of frustration or stress. This is why it is importantto get your friend or loved one out of a Alabama jail as fast as possible. We pride ourselves on getting fast release from Madison County jails. Some defendants have numerous bonds that that need to be written and one of our policies is to call in a team of approved bail agents to hurry the paperwork along. Your lawyer wants you out of jail fast because he or she knows the longer you sit behind bars the more liable it is that you speak to the police in hopes of being released by the "for helping the case along"
We firmly believe that discretion is a priority in the bail bond process. Your business is no one elses and we ensure to keep it that way. We also offer free consultation about the bail process and what you might expect. If you need transportation, no worries we will come to you. 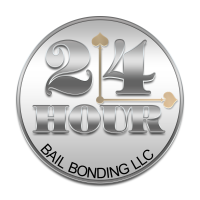 We are a full service bailbond company.